Preschool education will be considered for the children who are between two to four years of age (between the toddler and school age). Preschool education programs will nurture and prepare your child for schooling. During this period, children are prone to learn and absorb information quickly. 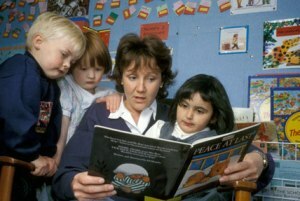 Preschool education is also known as nursery, kindergarten, day nursery, daycare center, etc. This provides basement of education before entering the constitutional education. 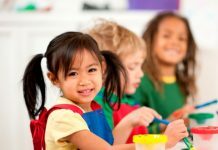 Certain child care centers collaborate with preschools to provide early child education services with best quality programs through the entire day. The preschool education covers the areas of communication skills (listening and talking), physical development, personality development, aesthetic (creativity) development, awareness of mathematics, etc. 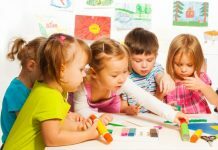 At the same time, it is important to choose the right preschool for your child. 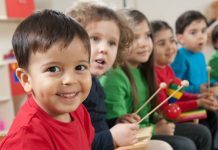 Choosing the right preschool is not that easy as you feel. Consider some necessary things before admitting your child at the preschool. There are some preschools with high demand, and for those preschools, you will be having long waiting lists. So, begin early to add your child’s name into the list of that reputed preschools. Call the list of those preschools on your hand with screening questions. 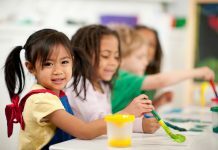 From the list of reputed preschools, visit some preschools after phone interview with which you are comfortable (do not take your child with you). Now, judge your feelings and impressions about that institution. Discuss your feelings with your child about the top choices of preschools and know the reaction of your child. Tell your child about the environment and the activities of that preschool you have selected and pay attention to the feedback of your child. Knowing the staff, certification, safety issues, healthy issues, meal arrangements, etc is a part of preschool education process. So, make sure that you are comfortable with the above-mentioned issues. Before enrolling your child at any of the preschools, talk to the parents who already enrolled their child at that particular preschool. Know from them if they are happy with the programs at the preschool. In the process of this preschool education for your child, ask the preschool head if the child can try the program for a week or a month before any long-term commitment (some institutions will return your money back when the child is not comfortable with their program). Find the fee structure, supply lists, and expenses of that preschool you have selected. After you checked thoroughly about the program and you are confident about its quality, admit your child at the preschool. It will take sometime for your child to get adjusted with preschool education programs. If your first choice of preschool is failed, keep some alternatives in your hand. Please keep in mind that your child’s immunizations are up-to-date before getting into any preschool, as some centers are particular about this. In the preschool education process, you will need to be clear about what type of services you want for your child. Previous articleTrouble With Your Teen’s Adolescent Behavior? Helpful Parenting Strategies To Manage Your Teen’s Behavior! Next articleAre You Introducing Solid Foods To Your Baby? Know How To Maintain Your Baby Nutrition!